Hi Zoro, Priya here this time. Ward asked me to post the following diagram to help show how to test ball joints. As well, when you go to get a wheel alignment try to find a body shop that does wheel alignments and has a 4 wheel computerized alignment machine. A wheel alignment technitian at a body shop sees all kind of alignment problems due to bent parts and so on and is more experienced at figuring out problems due to bent parts/collision damage. This is how Ward learned wheel alignments and automotive repair shops and dealers from around the city bring him cars for wheel alignment they can't figure out as he is known to be one of the best around for sorting out troublesome issues. That actually makes a lot of sense. It's going to be a few weeks before I can get the Eagle over to the alignment folks but when I do I will post the readout up in this thread. Thanks for the info! I will take a peek, thanks! 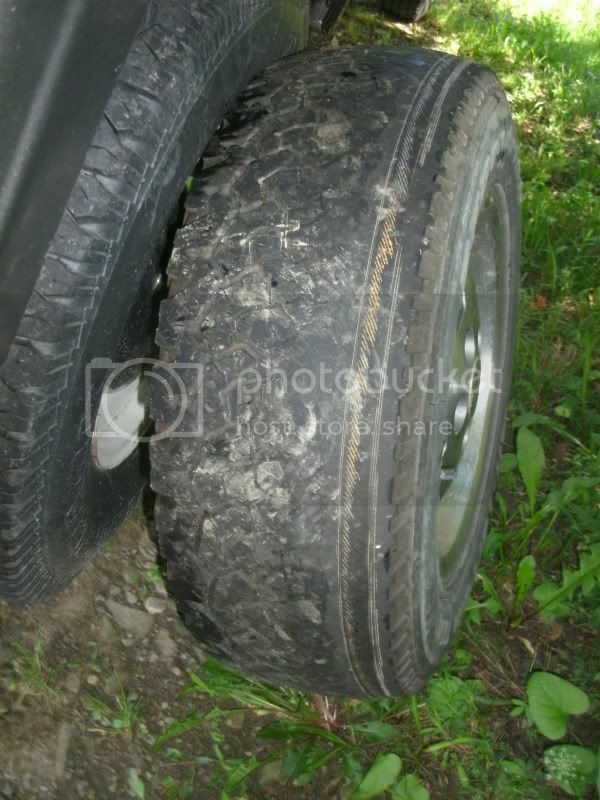 So you guys can get a feel of what I'm talking about here's the tires, I had to take the RF off the car for safety reasons. Looks like a combo of too much negative camber and under inflation. Shop probably aligned it to front wheel drive specs. I guess you could say that. It was more noticeable when there was a lot more meat on the tire. Looks like they didn't match the measurements for Turning from one side to the other. Here's a question I've always wondered about alignments and it definitely pertains to this car. When doing an alignment can it be done with worn out tires or do the tires need to be brand new to get the most out of the alignment? Basically, if an alignment is done with worn tires will that throw it off? I'll defer to Priya's husband Ward for the final answer, but here's my 2-cents-worth. I am a mechanic but my experience is on trucks and buses. Alignment is measurement and adjustment of angles. Yes, we're talking about angles of 2 degrees, but nonetheless they're angles. Measurements are taken against a reference point, either true vertical or horizontal, or a reference point on the vehicle chassis. 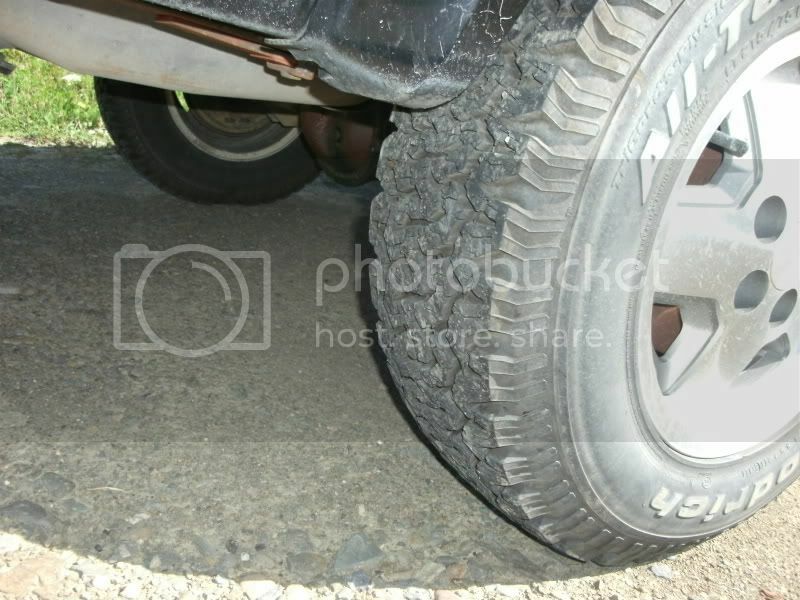 Unless a tire is on a bent wheel the condition of the tire is not as important as the condition of the chassis. I see no reason why a good technician cannot perform a quality alignment regardless of the condition of the tires so long as the chassis is straight and components aren't loose or bent. Thats what I was thinking too as when they aligned my wifes car, the things they clipped to the wheels (not sure what they are called) for reference points were on the wheels, not the tires. alignment machines I have used have always had some form of runout compensation, so even bent rims are accounted for and not an issue unless the rim bent beyond the point of compensation, at which point the alignment machine warns you. The alignment machine I currently operate measures to 1/100th of a degree. Doing an alignment can be affected by many things. 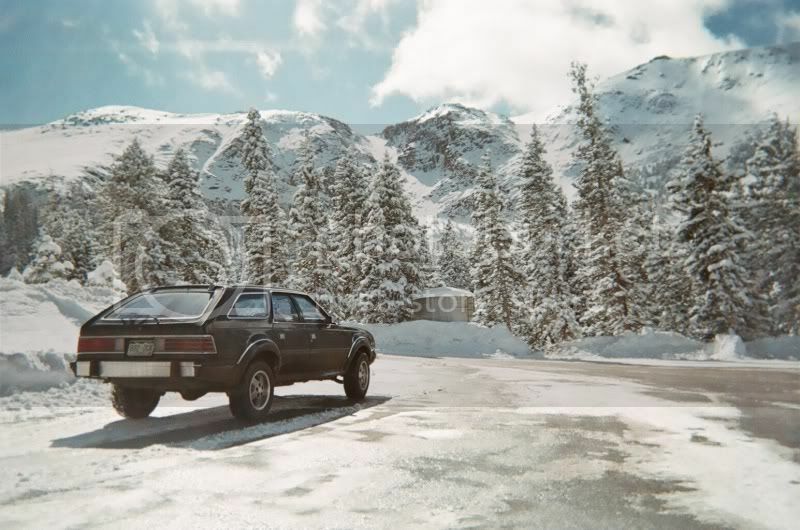 Worn bushings, saggy springs, extra weight in the vehicle, empty tank of gas, and bad tires. I will reference these on an Eagle. 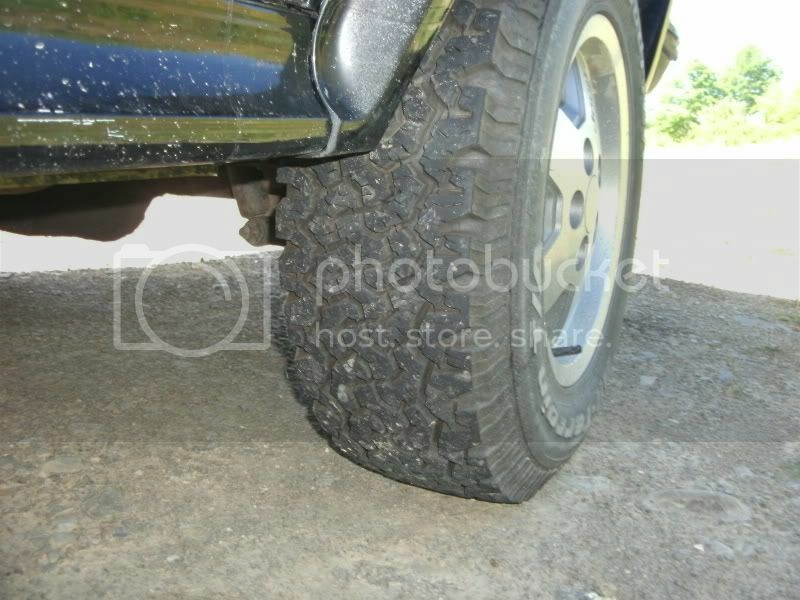 Soft coil springs or leaf springs will allow one side of the vehicle to drop causing a change in the camber and caster on both sides, positive on one side, negative on the other. Too much weight in the vehicle, say you have 5 bags of water softener salt in your trunk when you get it aligned, will actually change the height of your front end, in turn changing caster, camber, and toe. If you get it aligned like this, when you take the weight out for normal driving, you measurements can become out of specifications. Fuel can do this too, at 6-7lbs a gallon, you can have 140 extra or less lbs. in your rear. Most alignment techs prefer you to have a normal load in your car, nothing you wouldn't carry every day, and about a half tank of gas. Tires, quite controversial, but still have an affect. I have done many tests and found this to be about .5 degree at most, but that .5 degree can change a wheel that doesn't return after turns, to a wheel that returns like it should. 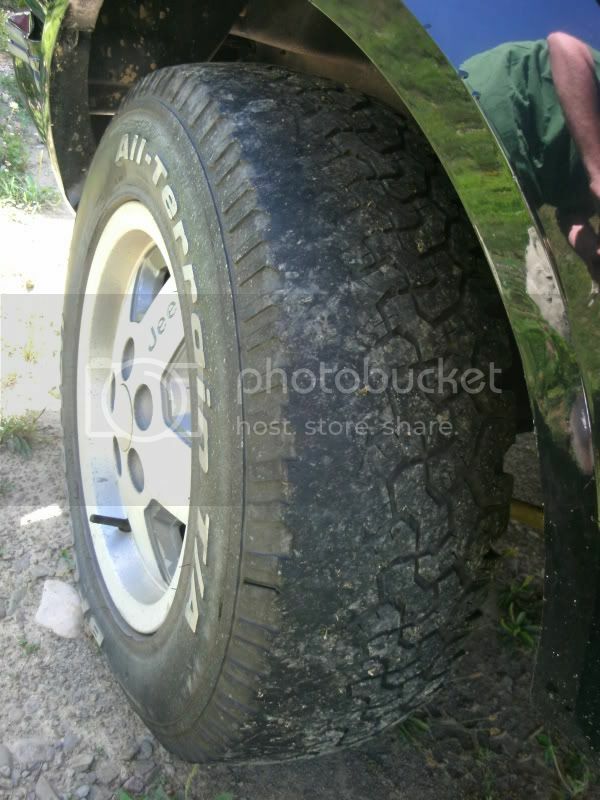 You generally want to have a pair of EVENLY matched tires on both axles. Front to back can be off slightly from what the manufacturer suggests, but your side to side have to be the same size, same brand preferred, as not all 235/75/15 tires are actually the same width or height from one brand to the other. The problems come when you have two mismatched tires; different heights, different tread design(winter vs. all-weather), and one new tire and one used tire with belt showing. The most commonly overlooked item, and one of the most important, is TIRE PRESSURE. All tires should be filled to the recommended specs, or your preferred specs.